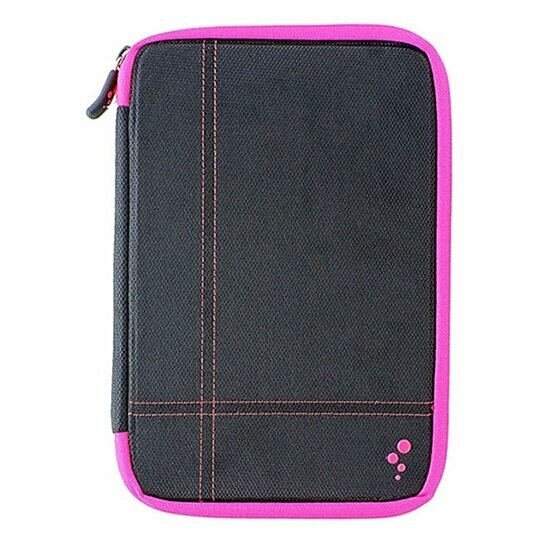 M-Edge products, Universal Sport Pouch Case fits most 7 Inch Tablets/Devices. Secure zipper enclosure. Multi-fit technology expands and contracts to fit a variety of device sizes and thickness. Fits the iPad Mini (all Gen), Google Nexus 1 & 2, Kindle HD 7, and Nook HD 7.